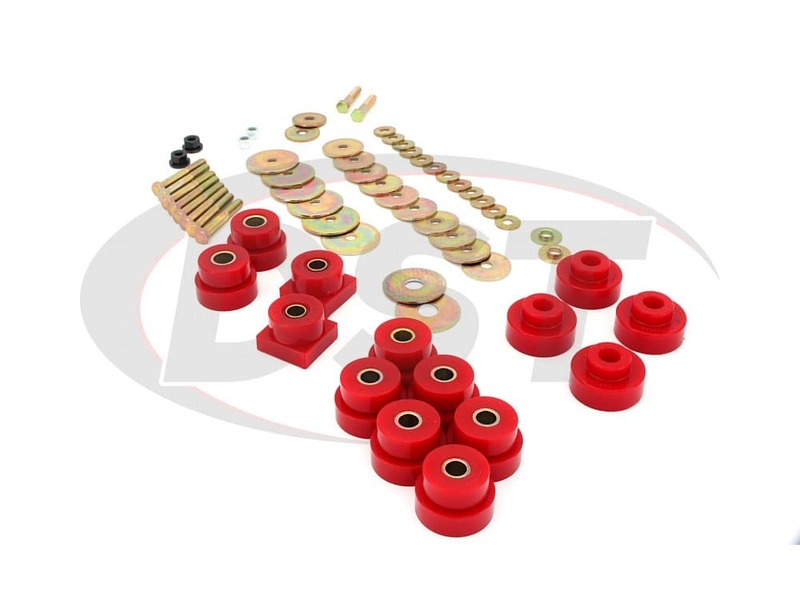 2 of 15.10.548.39 - .875" X .625" X 1.625"
4 of 15.10.548.39 - .875" X .625" X 1.625"
Energy Suspension's polyurethane bushings are resistant to both physical wear and contamination, ensuring a much longer lifespan for your Cutlass. When restoring a classic vehicle, making sure it can actually handle driving around is obviously step one. Ensuring that it rides smoothly comes as a close second. By replacing the body mounts you hit both birds with one stone. 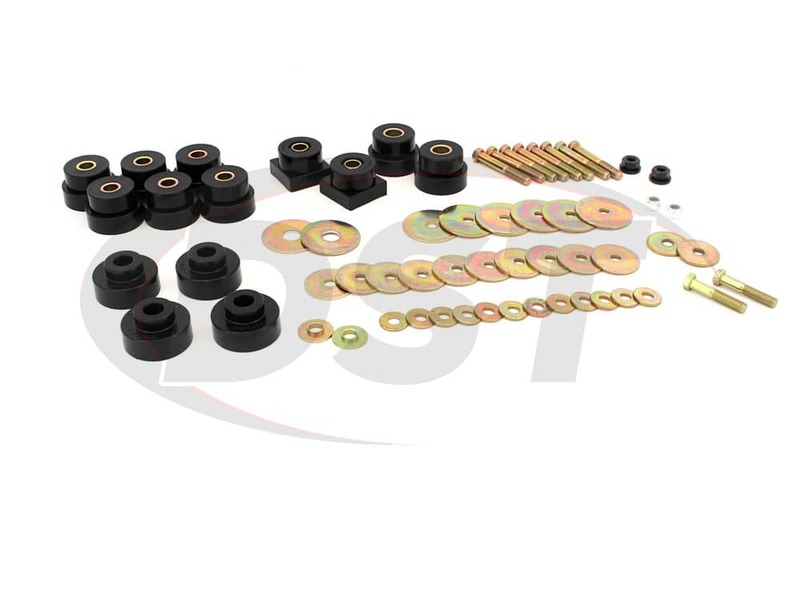 After decades of both driving and sitting around your body mounts will most certainly need to be replaced, if they haven't already. 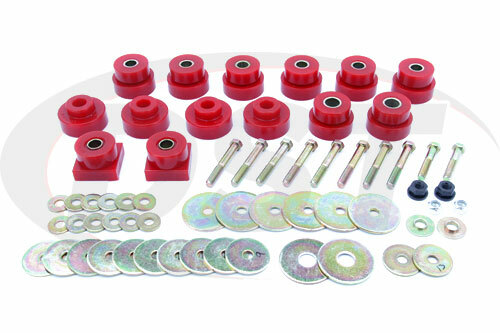 Without a dependable set of body mounts your vehicle will suffer from frequent alignment problems and rough rides. 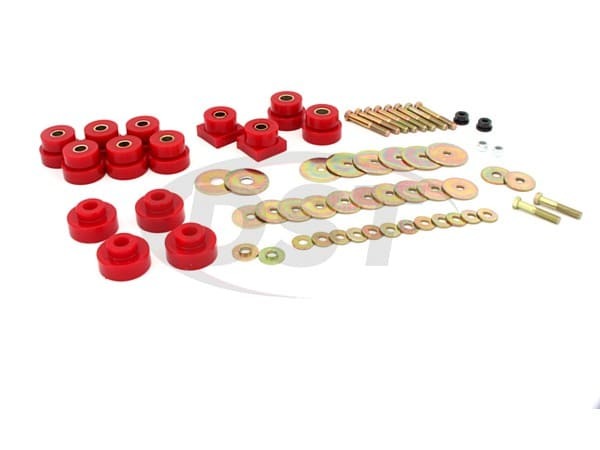 This is Energy Suspension's 3.4161, a complete set of Hyperflex polyurethane body mounts for the '64 - '72 Oldsmobile Cutlass. 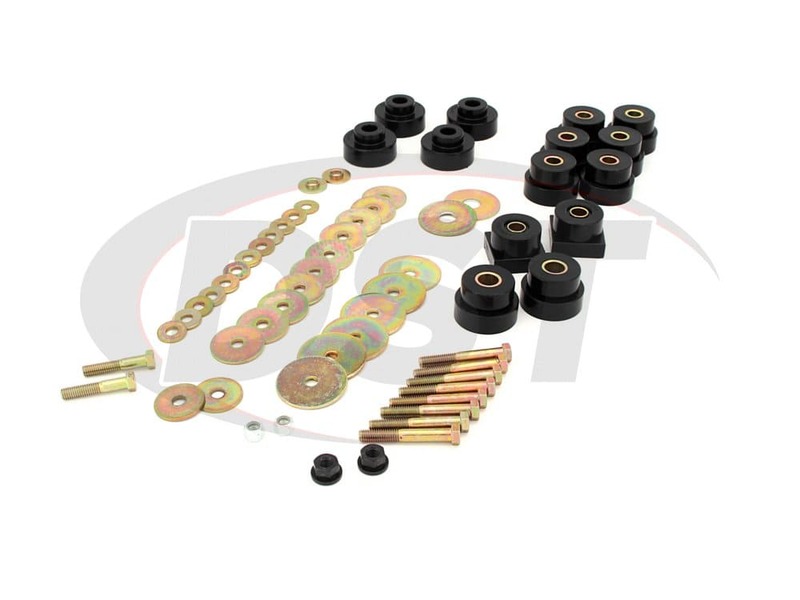 The original body mounts on your Cutlass were made of soft rubber. This rubber is prone to warping over time, eventually cracking and rotting away. 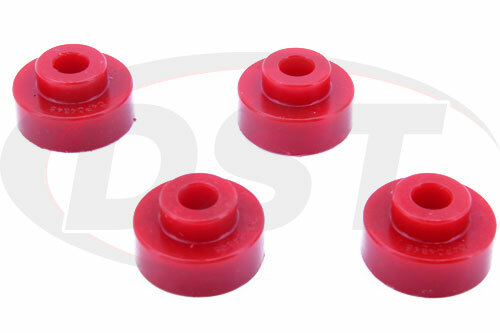 Energy Suspension's polyurethane bushings are resistant to both physical wear and contamination, ensuring a much longer lifespan for your Cutlass. 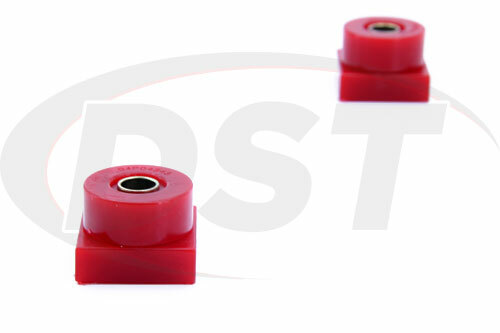 Since the 3.4161 is crafted with polyurethane instead of rubber your NVH might be slightly higher than it would be with rubber bushings. But the increase to both durability and longevity is well worth it. 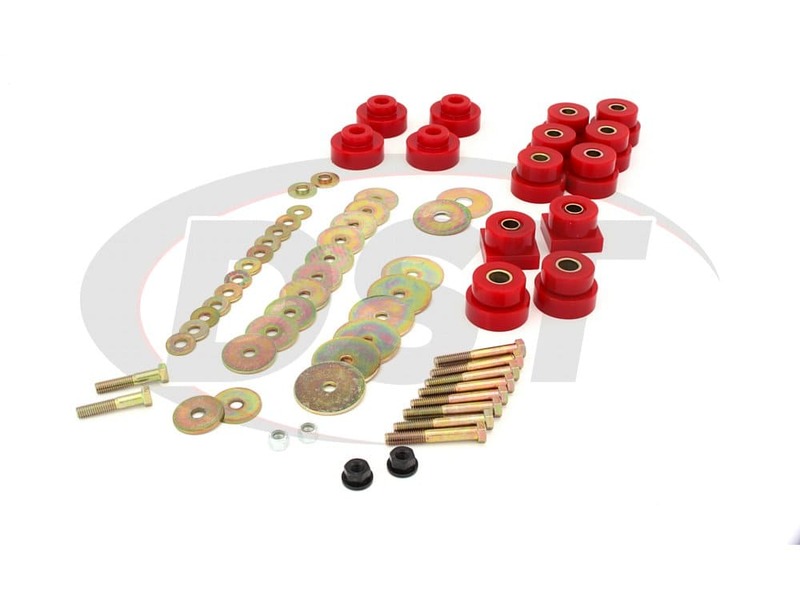 Not only that, but the 3.4161 includes all the necessary hardware, eliminating the need to go searching for a whole new hardware kit. 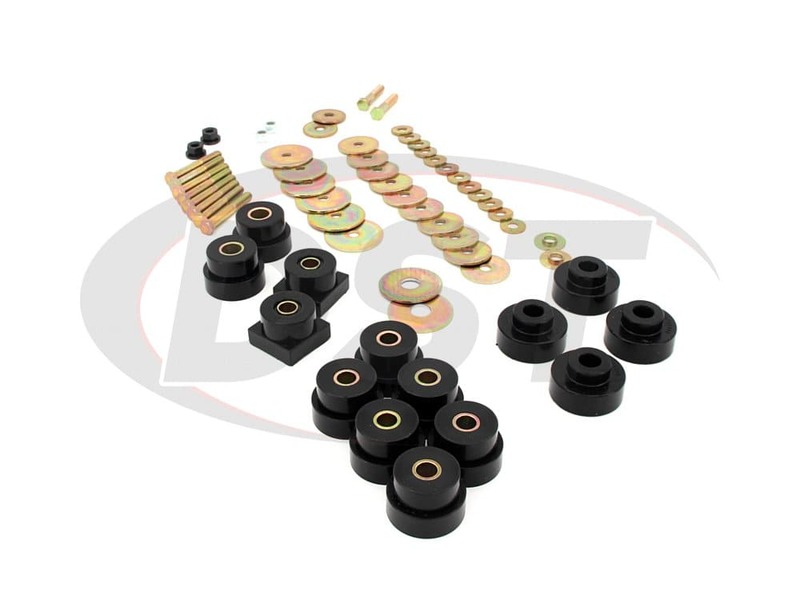 The 3.4161 is also covered with Energy Suspension's 2-year warranty handled in-house here at DST.